If you don’t relish the thought of throwing your cash away by exceeding the limits of your data plan, you need to pay attention to your usage. You should avoid racking up your mobile phone bill while traveling to save yourself from huge data charges. Nowadays, however, consumers need to access the Internet whenever and wherever they wish. This is why mobile operators offer personal data plans for customers to have connectivity anytime they need it. 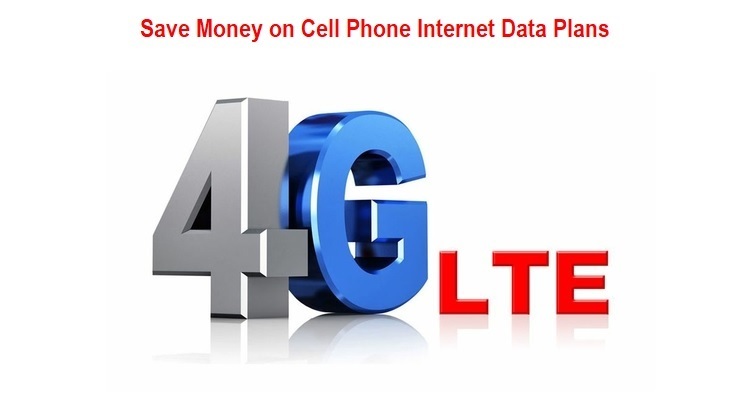 Unlike traditional GSM services that usually offer voice and text transmission, data plans get you connected to the Internet. Mobile data needs vary depending on the type of smartphone. It can connect you to the Internet through LTE, 4G and 3G networks. Leading mobile and data services operators give four useful tips to consider when choosing your mobile data plan. How much can you afford to spend on your data plan? It’s better for you to set a monthly budget you can stick to so that you won’t incur heavy charges. Compare various data plans and choose one that fits your needs and budget. If you already have a WiFi connection setup at home, then you probably won’t need a lot of mobile data. Besides determining your budget, you also have to decide if you really need a data plan. Do you need constant access to your email? Do you manage multiple corporate social media accounts, or are you simply addicted to needless browsing? Take note of these things to avoid buying an expensive mobile data plan that you may not actually need. Just because you have the latest smartphone doesn’t mean you need a huge mobile data package. Base your choice on your needs, data usage habits, and phone activities. Look around for various mobile data plans from your service providers and find one that suits you. Don’t limit yourself and consider other alternatives. This way, you’ll get the best deal that fits your requirements. Do you need to switch phones? Some mobile service providers don’t support existing phones and may require you to switch to a new mobile device. You either need to buy an unlocked phone from a shop or directly purchase a phone from the service provider. Having to get a brand new smartphone will significantly affect your budget. Whether you have an Android or iOS phone, there’s a data plan available for you. If you’re not familiar with the services of mobile data providers, find out about the network coverage quality and consistency in your location. If you plan to travel in another country, you may have to increase your budget for your mobile data plan. You may also want to add an Internet package to your prepaid roaming. There are also mobile data packages that won’t let you incur international charges even if you’re in another country. On Android phones, there’s a data usage panel where you can see how much you consume over a specific period of time. By tapping “more settings”, it will reveal which applications consume most of your mobile data and so on. Tap your phone’s settings icon then select data usage. Set your mobile data limit. If the date is different from the day your data allowance restores, tap and select change cycle. Then set the right date for when your data allowance restores. You will see a graph with two lines. One specifies the limit of your data while the other allows you to set a warning. Drag the line up or down until it reaches your data limit. You can set the limit similar to your data allowance but it’s better to set it lower just in case. Then drag the warning line up or down to set a limit. It’s advisable to put it around 75 percent of your data allowance. This is quite a helpful tool to ensure you don’t exceed your mobile data budget. Once you’ve already found the best personal data plans that suits your needs, check how it actually works out for you. If it doesn’t work as intended, you can always switch to a better mobile data plan. But do take note that you may also incur termination fees so it’s better to choose your service provider wisely. Remember these four things so that when you choose a mobile data plan, you get exactly what you need and can afford to pay for.